Eva Berlin and Kay Bland scored 0.39 masterpoints with a 41.15% game at Bridge On Shea. See full results of this game. Dan Lavine and Evan Lancaster scored 1.54 masterpoints with a 58.38% game at Bridge On Shea. See full results of this game. Wendy Rubin and Ali Raza scored 0.78 masterpoints with a 52.31% game at Bridge On Shea. See full results of this game. Monika Senf and Craig Snowden scored 1.45 masterpoints with a 57.69% game at ACBL Unit 359 - Boulder Bridge. See full results of this game. 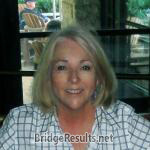 Donald Meyer and Cindy O'Connell scored 0.79 masterpoints with a 58.5% game at In Tempo Bridge Club. See full results of this game. 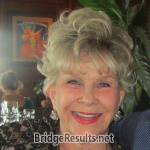 Tom Wylie and Jeanne Wiley scored 0.99 masterpoints with a 56.49% game at Bridge On Shea. See full results of this game.